As the controversial film The Accidental Prime Minister starring Anupam Kher as the former Minister Manmohan Singh is all set to hit the silver screen on January 11, a bad news has rang the bell. The Muzaffarpur court on Tuesday has ordered to file an FIR against actor Anupam Kher & 13 others in connection with the petition filed by Advocate Sudhir Ojha against the movie 'The Accidental Prime Minister'. Last week, a petition was filed by a lawyer Sudhir Kumar Ojha against the movie in Muzaffarpur’s chief judicial magistrate court for mangling with the image of top leaders. The court had admitted the case and alloted January 08 date (today) to hear the plea. According to the petition, the lawyer has complained that Akshay Khanna and Anupam Kher, who are playing the role of former prime minister press advisor and prime minister respectively, that they have mangled the image of the two top leaders. However, it doesn’t end here, lawyer Ojha has also said that the other actors who are playing he role of the UPA chairperson Sonia Gandhi, Priyanka Vadra, and Rahul Gandhi also harmed their image in the eyes of the public. 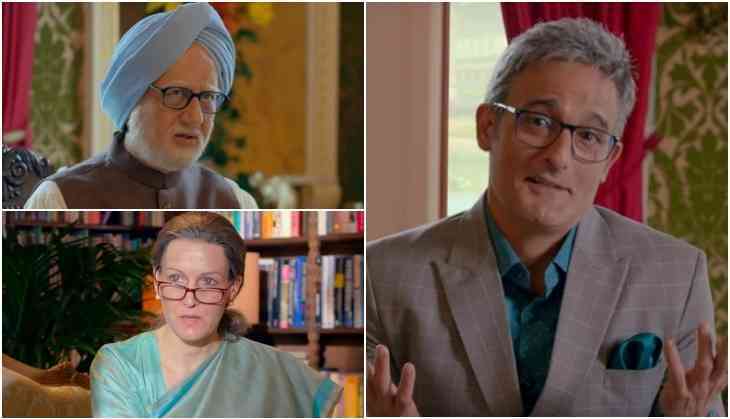 The film is based on a controversial book, Accidental prime minister’ by Sanjaya Baru, who was also the former prime minister's press advisor, and Indian policy analyst. The movie is all set to hit the theatres on 11th January 2019. READ NEXT >> CBSE now has a solution for students having Maths phobia!